Allela’s gloves feature sensors located on each finger that detect the positioning of each finger, including how much each finger will bend into a given position. 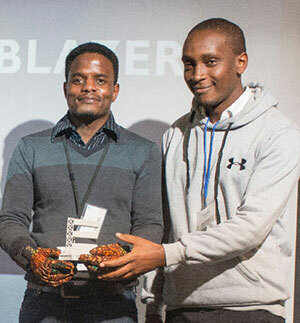 The glove connects via Bluetooth to an Android phone which then will leverage use the text-to-speech function to provide translated speech to the hand gestures of a person signing. The inspiration behind the Sign-IO gloves comes from the personal experience of having a young niece who is deaf. He nor his family knows sign language and often struggled to adequately and consistently communicate with her. “My niece wears the gloves, pairs them with her phone or mine, then starts signing. I’m able to understand what she’s saying,” Allela shared in an interview with The Guardian. Roy Allela invents a glove that translates sign language to speech.